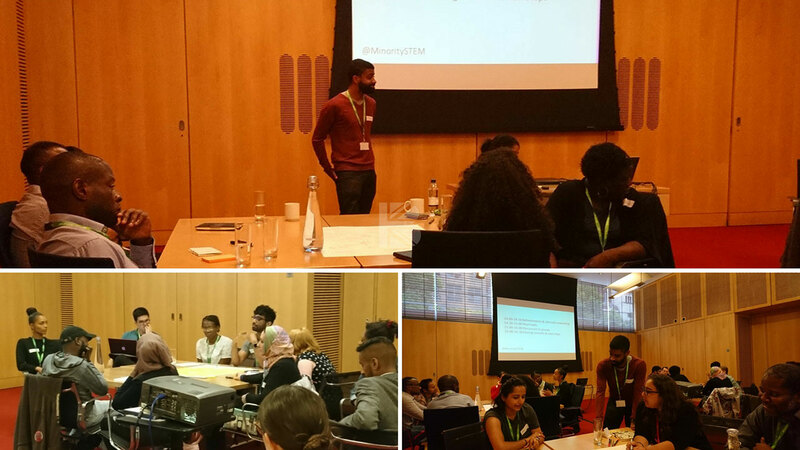 Helmed by University of Bath PhD biochemist Alex Lathbridge, the first Minorities in STEM networking event convened in London on August 30th. 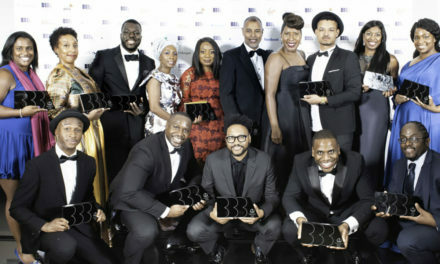 TBB will always celebrate the African experience well-told on film. Far from the war-torn, famine-ridden, dead-end ghetto type ‘stories’ we must often endure, people of African heritage have taken advantage of the social reforms in the West. Reforms like the Education Act, passed in Britain in 1944, which provided free secondary education for all; and the 1949 British Nationality Act, which granted British citizenship and the right to work in Britain to the people of the Commonwealth – a mainly non-white population across 54 countries, 94% of which are in Africa and Asia. Women received the rights to enter the professions in 1919, to equal property inheritance in 1922 and to vote in 1928; the contraceptive pill was made available to married women through clinics in 1961, then through the NHS in 1974, and the Abortion Act and the NHS (Family Planning) Act in 1967 granted contraceptive advice irrespective of marital status. Legislative milestones like these increased access to higher education for the poor and immigrant classes, and the freedom to pursue it. Africans have always had apartheid and segregation in one form or another to deal with, and it is this which makes the source material for a film like Hidden Figures (2016)  so up lifting. The story of how NASA mathematician Katherine Johnson (Taraji P. Henson), computer programmer Dorothy Vaughan (Octavia Spencer), engineer Mary Jackson (Janelle Monáe) and their African American ‘human computer‘ colleagues, made sustained space flight possible in segregated America, was ignored and/or buried for decades. With only one college honour in 1999, Johnson eventually received the Presidential Medal of Freedom from Barack Obama in 2015. Then, in 2016, NASA was moved to honour her and her colleagues. Despite the on-going American civil divide, the film has taken $230.5m ($169.4m US domestic vs $61.9m foreign) to date, from a budget of just $25m, comparable to The Theory of Everything (2014) – biography of theoretical physicist Professor Stephen Hawking (Eddie Redmayne), which took $123.7m ($15m budget); The Imitation Game (2014) – biography of Alan Turing (Benedict Cumberbatch) the father of the computer, which took $233.6m ($14m budget); and A Beautiful Mind (2001) – biography of mathematician and Nobel Laureate for Economics John Nash (Russell Crowe), which took $313m ($58m budget). Prior to that, Africans as stars of a science-fact film have only been represented a couple of times – Will Smith in Concussion (2015) played forensic pathologist Dr. Bennet Omalu who discovered an Alzheimer’s-like brain deterioration in American Football players and named it chronic traumatic encephalopathy. The film grossed $48m ($35m budget). The made-for-TV HBO film Something the Lord Made (2004) told the story of how Johns Hopkins paediatric cardiac surgical pioneer Vivien Thomas (Yasiin Bey, formerly Mos Def) practically applied the frustrated theories of Alfred Blalok to cure blue babies. It was nominated for 32 awards (including a Golden Globe for Bey), and won 17 (including an Emmy for Bey). So, there is an appetite for science (including medicine), technology, engineering and mathematics (aka S.T.E.M.) fact-based films, not just science fiction or fantasy. In the 11 years between Something the Lord Made and Concussion, the role of STEM graduates from the African Diaspora has gained a fact-based foothold. A List of African American Scientists and Inventors appeared in Wikipedia in 2006, followed by a List of African Scientists Inventors and Scholars in 2010. But what of the rest of the African Diaspora? 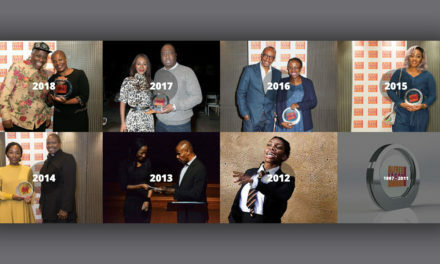 Head down to The Strand and you can view a couple of African-Brits featured amongst the distinguished alumnus pictography along the King’s College London facade. You can also buy the multi-volume books Black Scientists and Inventors, Blacks in Maths and Science and Black Women Scientists and Inventors. PhD biochemist Alex Lathbridge welcoming attendants to the first Minorities in STEM networking event in the Darwin Room of the Wellcome Trust, Euston Road. Bottom pics – brainstorming session. 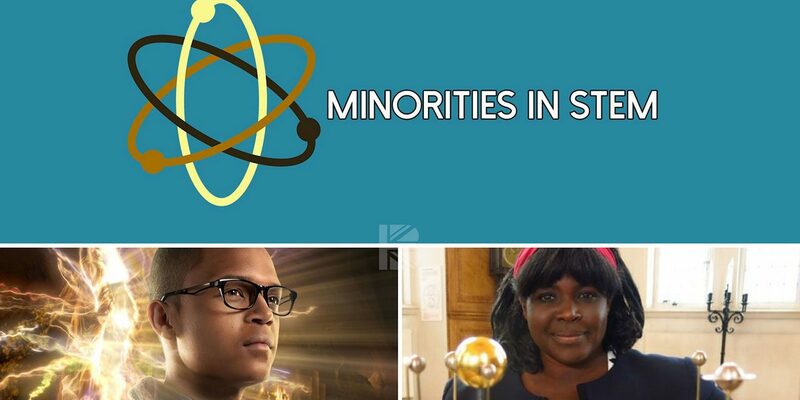 Or you can do what a dynamic group of young scientists, along with their friends from affiliated organisations are doing, and create Diasporic heroes from scratch, raising the profile and appeal of the STEM subjects in the UK’s minority communities. 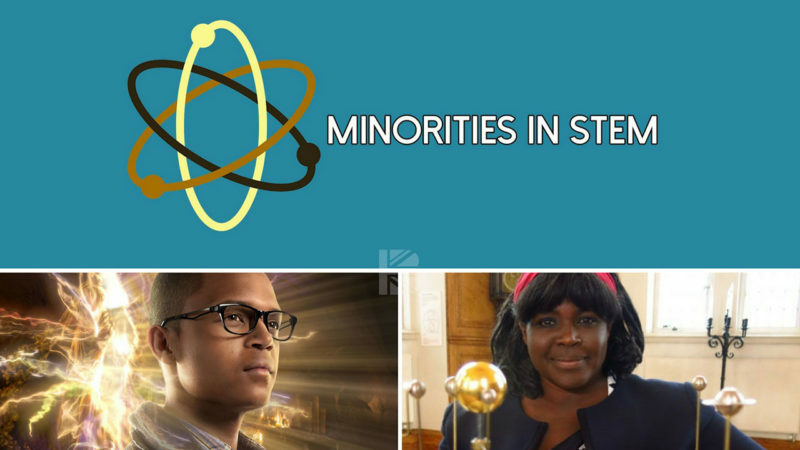 Helmed by University of Bath PhD biochemist Alex Lathbridge, the first Minorities in STEM networking event convened in London on August 30th 2017. The Wellcome Trust’s Darwin Room gave itself over to the 40 graduate delegates who were interested to explore and promote Science (including medicine), Technology, Engineering and Mathematics amongst the UK’s people of colour. Lathbridge gave the welcome, overview and introductions to his five compatriots scheduled to give short talks, stoked by the knowledge that the event was at capacity. There were also a further 40 people on the waiting list, vindicating the group’s belief that there was an unmet need amongst communities like theirs, improving visibility and creating role models. 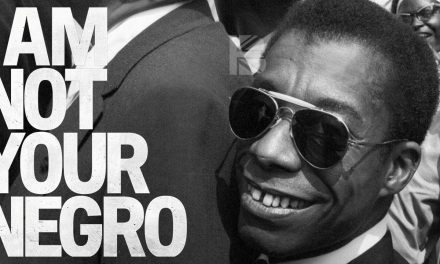 He joked about the anxieties felt by all of them in standing up and being counted, putting their ‘head above the parapet’ and speaking out, possibly harming their career prospects and being labelled the ‘angry black man’ and similar. Then, he realised he was angry. They all were. They were all involved in making headway and they all realised if they didn’t do it, they could hardly complain that nothing was being done. They forged ahead and have found some powerful support. UCL Alzheimer’s researcher Ozy Ismail also felt the need to fight his community’s expectation of their brightest becoming a doctor rather than a scientist. He wondered if support might have been more forthcoming if more researchers looked like him. He looked at the concerted engagement with the gender deficiencies in STEM, and what progress had been made there, though still with ethnic diversity deficiencies. Wellcome Public Engagement Head, Imran Khan, represented the global charitable trust whose mission, since their buyout by pharmaceutical giant Glaxo in the 90s, is to support scientific inquiry. Rooted in the examples of interesting medical afflictions from around the world collected by the rich Victorian Henry Wellcome, the modern Trust is still actively improving its visions of inclusivity. Hana Ayoob is the science co-ordinator for the Cheltenham Science Festival. She is concerned with the public face of science, and is already the spokesperson for gender inequalities. 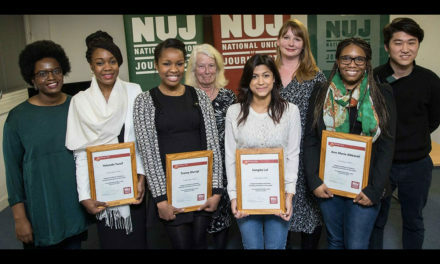 She was shocked when, during her current tenure, The Guardian newspaper named and shamed her company as being 100% white! She admitted that in a festival hosting 300 speakers which sells over 40, 000 tickets, she could easily programme the event without a single speaker of colour! Part of the problem is that organisations and institutions do not pitch or recommend non-white representatives to the Festival! She also felt that there may be might be a fear of starting the conversation. UCL PhD Physicist Yolanda Ohene is a BME BBC Expert Voice, educator and STEM ambassador. Her family hail from a small town near Sheffield and have a strong engineering background. So, whilst she was always in the skin colour/cultural minority, she had the role models many UK ethnic communities lack, and she felt compelled to change that. These were the motivators for the delegates who had similar tales to tell. Physicists, biologists, engineers, doctors, graduates of other sciences, scientists from government agencies, institutions and organisations, all galvanised to support this proactive group. 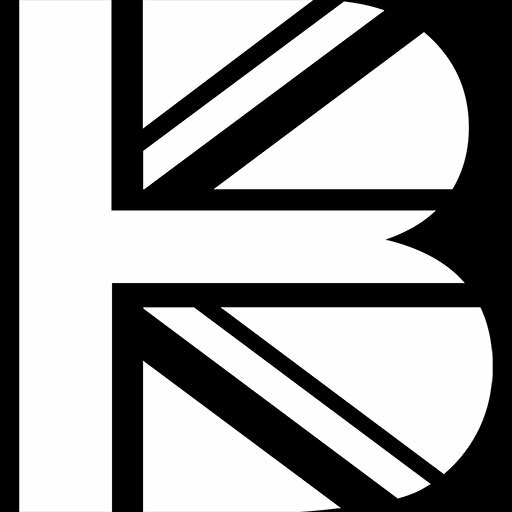 Interestingly, no-one was particularly enamoured with the labels of ‘minority’ ‘BME’ or ‘BAME’. Still, in the UK, USA and Australia, that’s what we are – minorities. But why that particular designation which separates Black and Asian from minority ethnic? Why mix an approximation of skin colour with a regional and a cultural descriptor? It just shows how little progress is being made in identity equality in the West. Personally, I think Western/UK or US Minority is as accurate a description of what we, who originate from the African, Asian, Middle Eastern and South American continents, are. 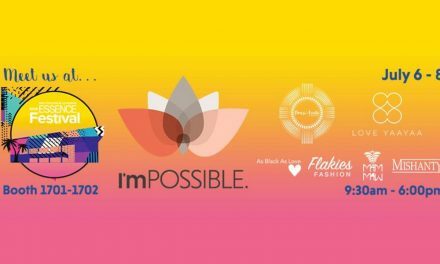 After the short talks, and the self-identity puzzle aside, the delegates brainstormed on how to raise awareness and create mentorships and role models by engaging with industry, organisations and institutions, educators, media, the public, and the arts. This, of course, led TBB to the consideration of our representation in STEM fields on-screen. Both here and in the US, we are becoming more commonplace as doctors – particularly medical examiners (M.E./coroner/pathologist), for some reason, and we are increasingly being seen as scientists within other fields. The UK appear to be first in casting Jamaican-Brit Joan Hooley as Dr. Louise Mahler in the TV series Emergency Ward 10 (1957-67) in 1964. This was followed by the casting of Egyptian heart throb Omar Sharif as Dr. Yuri Zhivago in Doctor Zhivago in 1965, and African American James Earl Jones as Dr. Lou Rush in the US TV series Dr. Kildare (1961-66) in 1966. EastEnders (1985-present) introduced general practitioner Dr. Anthony Trueman (Nicholas Bailey) in 2000, and Holby City (1999) gave us consultant surgeon Mr. Ric Griffin (Hugh Quarshie) in 2001, to be followed over the years by consultant anaesthetist Jesse Law (Don Gilet) in 2002, and critical care consultant Dr. Lola Griffin (Sharon D. Clarke) in 2003. Dr Who (2005-present) gave us Dr. Martha Jones (Freema Agyeman) in 2006. Then cardiothoracic and transplant surgeon Ms. Maureen ‘Mo’ Effanga (Chizzy Akudolu)  joined Holby City in 2012, Specialist Registrars Morven Digby (Eleanor Fanyinka) joined in 2015 and Damon Ford (David Ajao) in 2017. Trauma surgeon Mr. Glen Boule (Lennie James) starred in Critical (2015, S1). Casualty (1985-present) has a much less progressive cast list, but emergency medicine consultant Elle Gardner (Jaye Griffiths) joined in 2016. In terms of UK non-medics, Chiwetel Ejiofor is our brainiest rep, having played geologist Adrian Helmsley in 2012 (2012) and director of NASA’s Mars missions Dr. Vincent Kapoor in The Martian (2015). We have had science whizz Benny Sherwood (Percelle Ascott) and his computer expert dad, Richard (Don Gilet) in CBBC’s Wizards vs Aliens (2012-14) and physicist and mechanical engineer Dr. Maggie Aderin-Pocock hosting The Sky at Night (2013-present); Currently, we are enjoying the brilliance of ace engineer Naomi Nagata (Dominique Tipper) in The Expanse (2015-17). In America, Dr. John Wade Prentice (Sidney Poitier) turned up in Guess Who’s Coming to Dinner? (1967). That same year, Star Trek: The Original Series (1967-69) inspired millions in giving us crew and guests aboard the USS Enterprise in communications bridge officer, sometimes helmsman and navigator Lt. Nyota Uhura (Nichelle Nichols) , who also effected engineering repairs to ships systems on the bridge. We also met medics Dr. M’Benga (Booker Bradshaw) and Dr. Ozaba (Davis Roberts), engineer Lt. Charlene Masters (Janet MacLachlan) and genius computer pioneer Dr. Richard Daystrom (Williams Marshall). America was quicker to show us in more STEM fields in biologist Dr. Kincaid (J. Walter Smith), creator of Abar: The First Black Superman (1977) and genius computer hacker Gus Gorman (Richard Pryor) in Superman III (1983). Follow up Star Trek series ventured where few series had gone before, giving us chief engineer Lt. Cmdr Geordi LaForge (Levar Burto) and his dad, exobiologist Cmdr Dr. LaForge (Ben Vereen) in Deep Space Nine (1993-99). 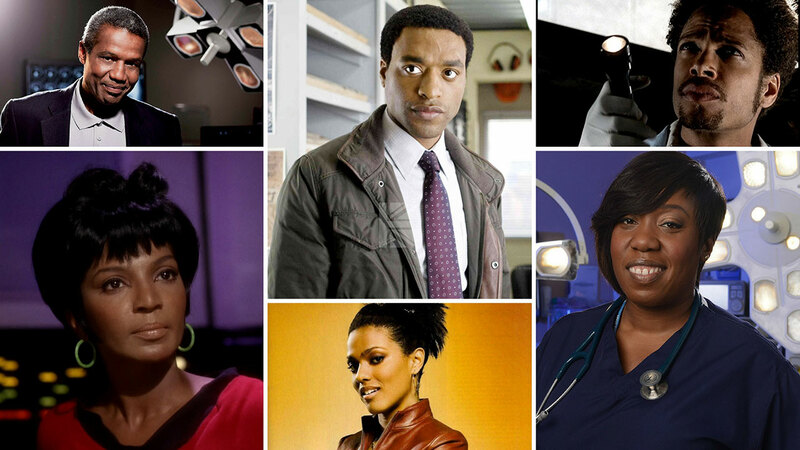 Medical dramas like ER (1994-2009) and Grey’s Anatomy (2005-present) have given us a steady stream of African American doctors over the long-running series. But, it was groundbreaking City of Angels, US network TV’s first black majority cast medical drama, which included Gabrielle Union, Vivica A. Fox and Blair Underwood as 3 of at least 10 non-white doctors. Maya Rudolph, Viola Davis and Octavia Spencer featured as nurses, and it aired for 2 seasons over 24 episodes in 2000. Of course, Morgan Freeman is the US’s brainiest rep, having played inventor and CEO of Wayne Industries Lucius Fox in Batman Begins (2005), The Dark Knight (2007), The Dark Knight Rises (2012), and a clean energy research scientist Dr. Paul Shannon in Chain Reaction (1996). Omar Epps has played medics in ER (Dennis Gant) and House (Eric Foreman, 2004-12). Laurence Fishburne has played physician Dr. Ellis Cheever in Contagion (2011) and CSI Investigator Dr. Raymond Langstone in CSI: Crime Scene Investigation (2000-15). Will Smith has played virologist Dr. Robert Neville in I Am Legend (2007) and forensic pathologist Dr. Bennet Omalu in Concussion (2015). The hard-working CCH Pounder has played medic Angela Hicks in ER and Medical Examiner Dr. Loretta Wade in NCIS New Orleans. 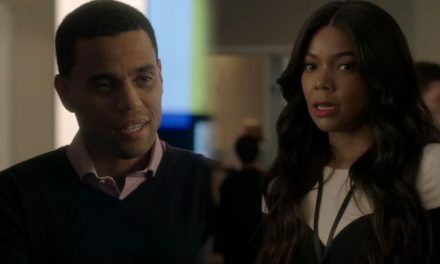 She and Smith are joined by no fewer than five additional M.E.s, including Dr. Alex Woods (Khandi Alexander) and Dr. Tara Price (Megalyn Echikunwoke) in CSI: Miami (2002-12), Dr. Sheldon Hawkes (Hill Harper) in CSI: NY (2004-13), Dr. Lanie Parish (Tamala Jones) in Castle (2009-17), and Scorsese (Johnathan Fernandez) in Lethal Weapon (2016-17). Whilst America has a more limited imagination in terms of African American non-medics outside of the Trek universe, it is getting better. Remember chemist and AV specialist Warrick Brown (Gary Dourdan) in CSI: Crime Scene Investigation? African American astrophysicist, director of the New York Hayden Planetarium and revoker of Pluto’s planet status Neil deGrasse Tyson as himself (S4/ep7) in The Big Bang Theory (2007-present); computer specialist Patton Plame (Daryl Mitchell) in NCIS New Orleans (2014-17); Jet propulsion laboratory astrodynamicist Rich Purnell (Donald Glover) in The Martian (2015), and AV Club member and annual school science fair winning team member Lucas Sinclair (Caleb McLaughlin) in Stranger Things (2016-17). The US also boasts the most diverse STEM-based TV show in Mr Robot, with 6 hackers/engineers of colour, including the title character and star, Rami Malek! Whilst Holby City, EastEnders, ER and Grey’s Anatomy might look like we are well-represented, you’ll have to see the massive cast list to see that, relatively speaking, we are still under-represented. Still, you can watch this space if there are creatives out there who wish to connect with the sciences and vice versa. In the coming months, social media, podcasts and YouTube channels will play host to more and more of our STEM professionals. As writers and producers, it’s up to us to promote the reflection of our community’s academics, scientists, engineers, technological whizz kids, mathematicians and doctors – We have plenty!